Towards the beginning of the year, 2016 was championed as a defining 12 months for virtual reality as the technology set about staging a renaissance within the video game industry. By and large, it’s panning out quite nicely; HTC Vive and Oculus Rift set the wheels in motion some months ago, catering for the high-end, PC market with top-tier specs and bleeding-edge tech. But a new challenger is ready to emerge. Sony, having watched its chief competitors make their formative steps from the sidelines, is now on the verge of launching its own head-mounted device, the PlayStation VR. Pegged for release in just a few days (October 13), early reports claim that PSVR holds the lion’s share of brand awareness over those aforementioned rivals. This, coupled with the innate affordability of Sony’s platform ($399) and the cachet of the PlayStation brand, indicates PlayStation VR is primed for a relatively big splash, with sales projections forecasting around 1.6 million units sold by year’s end. 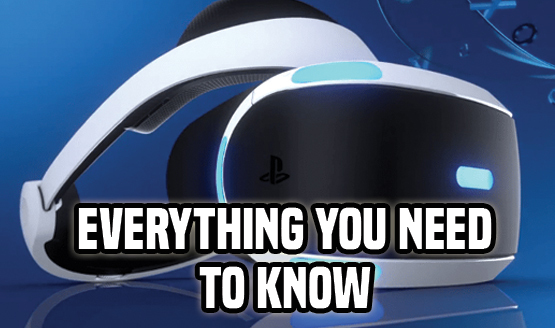 Before we begin dwelling on the potential future of PSVR, though, let’s circle back to recap Everything You Need to Know about Sony’s all-new platform, covering everything from technical specs to the demo discs early adopters can expect right out of the box — and why their contents vary on a region-to-region basis. So go ahead; we’ve included a comprehensive overview of PlayStation VR that you can peruse in the gallery below. Come October 13, Sony will usher in a new era with the release of PlayStation VR. It’ll be the second new platform launch in as many months, what with the PS4 Pro penciled in for November. You can get up to speed on said mid-generation hardware upgrade here.